IABC/BC warmly welcomes Brad Whitworth, ABC, SCMP, IABC Fellow, for an exclusive daytime event. Have you been through a digital transformation? Preparing for one? Looking for ways to future proof yourself – and your team? Or just wondering what it really means to be a leader in the digital age? Topics like demonstrating value, tracking trends, accelerated learning, taking risks, talent building and agility (or lack of) are just some of the elements of leadership in a future thinking business world. At this intimate lunch, Brad Whitworth, ABC, SCMP, IABC Fellow will lead an interactive discussion on being a leader in changing times. Come prepared with your questions, musings, and examples of personal experience. Tickets include a two-course fixed meal with a choice of either a glass of wine or desert. You will be asked to make your selections when you register. Please also specify any additional dietary restrictions during the sign-up process. Tickets available until February 17. .
*This lunch is tailored for senior, and mid-level members who are in leadership roles. See who else is going. 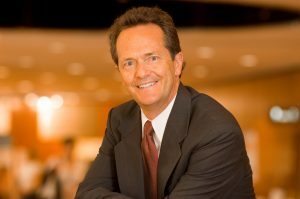 As a global leader, former broadcaster and communications expert, Brad Whitworth, ABC, SCMP, IABC Fellow is a highly sought-after speaker on business communication. He has led communications teams small and large, local and global, during his career. He has worked in employee communications, media relations, financial communications, exec comms, marketing and community relations. He and his teams at HP, Cisco, AAA and PeopleSoft have won six IABC Gold Quills and numerous local and regional communication awards. In addition, Brad has also taken on leadership roles in non-profits, too. He’s a past-president of two IABC chapters, past chairman of IABC (yeah, the whole association! ), part president of a Bay Area grief-therapy organization, and currently serves on the board of Slow Food Russian River. Call the IABC/BC registration line at 604-878-1320 or email our admin team at: iabcbc@vancouveroffice.com. Please note: Due to the intimate nature of this event, we are unable to accommodate short-notice cancellations. Requests for refunds must be submitted before February 15.